Learn How To CalculateSample Size Today! 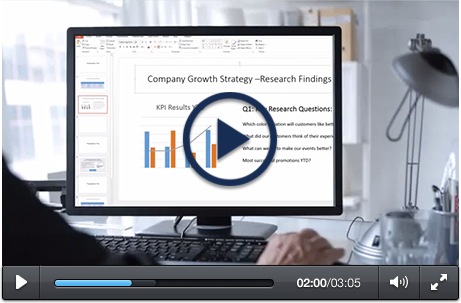 Calculate Sample Size And Easily Create And Distribute Surveys. Start Today For Free! 3. Start from a new template. You can even create and distribute surveys on your mobile devices as well, for QuestionPro is fully optimized for mobile devices. When using QuestionPro, you have three ways in which you can begin a survey before correctly calculating sample size. 1. A Blank Template: You can start with a blank template, choosing question types and personalization options that allow you to change the colors and fonts anywhere on the survey. 2. The Template Library: When you choose QuestionPro, you'll have access to over 100 various survey models that you can customize to fir your needs. 3. Importing: Perhaps there are survey questions or maybe even a complete questionnaire that you'd like to send out with QuestionPro. Just use Microsoft Word to easily import it. What exactly are you looking for in your research? Are you looking to base critical decisions on your data or just trying to gain a general idea of preferences? If you're looking for the latter, you'll have to make sure that your sample size is more precise. How accurate do you want your results? Do you want to see information that's identical to surveying the entire population? The more accurate your results, the larger the sample you'll going to want to use. How variable is the population? Are they a complete mixture of demographics or are they all pretty similar in nature? The more diverse they are, the larger your sample will have to be. Not everyone is going to respond to your survey when you send it out. There, you must have a base sample size in mind, or an absolutely minimum number of responses you need to attain. 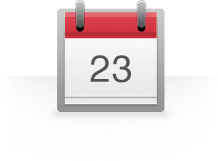 Try personalizing the invitation email or adding incentives to increase response rate. Step 3: Pick which method of survey creation you want to use. You can start from a blank template, upload questions or complete surveys you already have or browse the QuestionPro template library. With direct access to the CSS, you can change the survey fonts and colors to those that fit your requirements. How can you create a survey? Are you able to browse a giant survey template library, filled with over 100 surveys that you can edit and customize? Can you import a survey that you've already created? Or if you just want to start from a blank template, can you choose from a list of various question types that include both simple and advanced like multiple choice or matrix tables? How about customizing? Do you have access to your survey's CSS so you can change the fonts and colors of your survey? When you choose QuestionPro, you can do all of the above! When you've finished your survey, what sort of options do you have for distribution? Are you able to easily upload an entire list of email addresses for mass delivery? What if you need your survey embedded into your website? Are you provided with custom HTML? 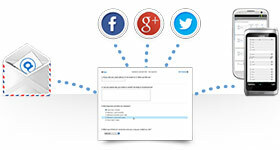 How about posting your survey to social media sites like Facebook or Twitter? Can you do that from within the editor? Maybe you'd like a QR code generated that links to your survey, so you can place it on receipts and other forms of advertisements. 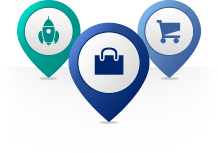 You'll have all of these features with QuestionPro, plus more. Once your survey has been distributed, what sort of options do you have for reporting and analysis? Can you see how many took your survey and the way they responded to each question, in real-time? What kind of analysis tools do you have? Can you create data filters and pivot tables with your data? Let's say you want to export your data so that you can perform more in-depth analysis in Excel or SPSS - are you able to do that? And what about downloading your data or exporting it to the cloud like Dropbox? 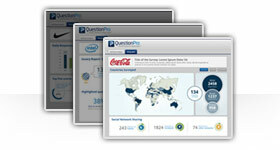 You can do all of these things with QuestionPro, and lots more! When your account is created, you can begin to make surveys right away. 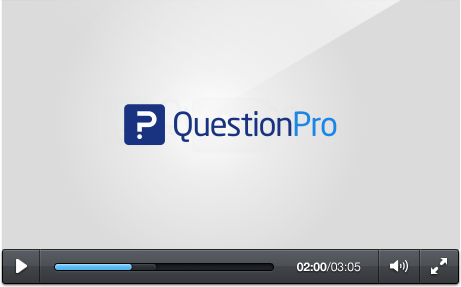 There are three different ways you can begin to create a survey using QuestionPro. You can select one from the template library, import a questionnaire that you already have or just start from a blank template. Either way, you can customize your survey with a variety of options. 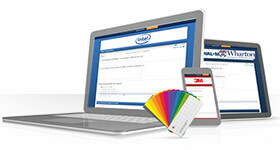 You can select a pre-made theme for your questionnaire or just modify the CSS of your survey. Once you create your survey and correctly calculate sample size, you have a variety of options for distribution. You can easily email your survey by importing a list of email addresses into QuestionPro. You can also embed your survey into your website or blog with the provided HTML code. Posting to your social media channels is easy - you can post your survey to Facebook or Twitter using links given right within the QuestionPro interface. If you don't have any respondents, you have the option of purchasing specific respondents that have particular demographics, like age and location. When you have results starting to come in after you distribute your survey, you can do many things in terms of production and analysis. You can see, in real-time, the exact number of people who have viewed your survey but dropped out, the total number of those who completed your survey and the average time it took them to complete it. You can perform various forms of analysis such as creating data filters, pivot tables, trend and TURF analysis. You can also export your list to Dropbox or Google Docs, or just download a raw data file to perform more in-depth analysis with.